The judiciary is the branch of government that decides when laws have been broken (breached) based on evidence presented in court cases and on what the penalty or remedy is to be for the particular breach of the law. All people holding the position of ‘judge’ or ‘justice’ are members of the judiciary. They are always people who are qualified as lawyers. Most of them have been barristers. In Australia, members of judiciary are appointed rather than elected or employed. In some other countries, the judiciary are elected through popular election; and in other countries, the judiciary are employed having done training especially to become judges. The judiciary also includes the court system itself. Under the Constitution, the highest court in Australia is the High Court. The High Court has seven judges who, once they are appointed, stay on the High Court until they reach the age of 70, unless they choose to retire earlier. Not all cases dealt with by the High Court are heard by all seven judges. Cases can also be dealt with by five or three judges or by one judge. The head of the High Court is the Chief Justice. The most common role of a judge is to interpret how a law applies to a particular situation. This is often done with statute law. The statute might be quite general in how it deals with a situation, or not particularly clear. The role of the judge is to decide what the law means in relation to the particular case. If a judge is dealing with a case and there are no previous cases on the same question and there is no statute dealing with the situation, the judge may use common law principles to develop a specific way to decide the particular case. This could include looking at what the law says about similar situations, and what the law in other common law countries says about the situation. This role is less common for judges, as most areas of law are covered by statutes. What is the relationship between the judiciary and government? giving the judiciary power to make rules about how courts will be run. The High Court of Australia has a particularly important role to play in government. It has the power to decide whether or not the actions of the other two branches of government are consistent with the Constitution. What is the relationship between the judiciary and the legal system? The judiciary is central to the legal system. Without the judiciary, there would be no one to make impartial decisions about disputes using the law as its framework. The courts have a very important role in making sure that no one acts above the law. The courts are able to do this without fear of being overruled by parliament or the executive because of the principle of independence of the judiciary. Under this principle, once a judge is appointed they cannot simply be sacked by the government. The constitutions of the Commonwealth and each of the states and territories set out the way a judge’s appointment can be terminated. So, for example, section 72(2) of the Commonwealth of Australia Constitution Act 1900 (UK) requires a decision by both houses of federal parliament meeting together to ask for a judge’s appointment to be terminated. This can only be done on the basis of ‘proved misbehaviour or incapacity’. As an alternative to going to court, there are a variety of different processes that can be used to help people resolve conflicts. The most common forms of alternative dispute resolution (ADR) are mediation, arbitration and conciliation. There are a number of advantages to ADR processes, rather than pursuing litigation through the courts. In general, ADR processes are faster and cheaper and less adversarial. With the exception of arbitration, the outcome of the process is within the control of the parties in dispute. In the early stages of a dispute, the judge will usually consider whether alternative dispute resolution, particularly mediation, is likely to assist. In some cases, a judge may order the parties to attend mediation even if they do not agree to it. Mediation is mandatory in some circumstances. For example, separated parents are required to attend compulsory family dispute resolution before making an application to the court for parenting orders (unless an exception applies). Also, in civil law, if parties do not make reasonable efforts to resolve their dispute before litigation, they may have to pay the costs of the other party. We have courts and tribunals to resolve disputes between people using the law. This is very important as it provides a peaceful, fair and predictable way of dealing with disputes. Courts and tribunals resolve disputes using a predictable process and apply all of the relevant law to the particular set of circumstances to decide on the rights and obligations of the parties who are in dispute. Their role is to make a decision about a particular dispute. Their role is not to make policy about how all similar disputes should be resolved or to decide what rights or obligations people should have; this is the role of parliament. As well as a federal system of courts, each of the states and territories has a separate system of courts and tribunals. The following diagram shows how the NSW and Federal Court systems are arranged, with the High Court of Australia overseeing both systems. Each court system has a hierarchy: the courts higher up in the hierarchy have authority over the lower courts. The highest court is the High Court of Australia. This is at the top of both the Commonwealth court and tribunal system, and the court and tribunal systems of all states and territories. It is the final court of appeal (only on matters of law) and deals with matters relating to the Constitution. The Federal Court of Australia has responsibility for federal law and hears appeals from the Federal Magistrates Court (except for family law matters, which go to the Family Court). Within the NSW court system, the highest court is the Supreme Court of NSW. The Supreme Court also has an ‘appellate’ level (for hearing appeals) For information on appeals see page 21.
Who are the participants in the courts and tribunals? What is the difference between courts and tribunals? Tribunals are similar to courts because they use similar processes to resolve disputes between parties. However, tribunals are not part of the constitutionally established system of government, while the courts are. Most tribunals are set up to deal with a limited type of dispute and often cases that involve a dispute between an individual and government. members of tribunals are appointed for a fixed period of time, rather than until they reach retirement age. Some information taken from the Consumer Trader & Tenancy Tribunal website - Resources for students - Courts vs tribunals. When a case is taken to court, the process is called a ‘hearing’ or a ‘trial’. The order in which a hearing runs is almost the same for criminal and civil cases. the decision maker makes their decision on what the penalty or remedy is to be. the geographic area that is covered by a court’s operations, eg, the jurisdiction of the NSW Administrative Decisions Tribunal is the state of NSW. in all other courts the judicial officers are called judges. Both magistrates and judges are now referred to in court as ‘Your Honour’. In a court hierarchy, lower courts must follow the decisions of a higher court. The higher court’s decision is said to be ‘binding’ on the lower court. This is known as ‘precedent’. Decisions of courts at the same level are said to be ‘persuasive’ but not binding. A decision by a superior court in another jurisdiction can also be persuasive, but is not binding. For example, a decision of the Supreme Court of NSW is binding on the District and Local Courts of NSW, and may be persuasive in another state if there has not been a decision on the particular area of law by the state’s own Supreme Court. A decision of the High Court is binding on all other Australian courts. The part of the decision that is binding is the ‘ratio decidendi’ (reasons for deciding). Other comments made by the judge in the decision that are not part of the central reasoning are known as ‘obiter dicta’. Generally, juries are involved in criminal cases involving indictable offences. A person charged with an indictable offence can ask to have the case heard by a judge and jury. A jury in a criminal case is made up of 12 people, all of whom are adult citizens. The judge’s role, where a jury is used, is to make decisions about how the case is run, such as whether or not the law allows certain evidence to be presented to the jury. Once both parties have presented all of their evidence, the judge instructs the jury on the areas of the case which it is their responsibility to decide. For every criminal offence there are certain ‘elements’ that have to be proved ‘beyond reasonable doubt’ in order for the accused person to be found guilty. So the judge has to outline what those things are that have to be proved, and also has to explain to the jury what ‘beyond reasonable doubt’ means. The role of the jury is then to decide the facts of the case, that is, what the evidence proves happened and whether the evidence proves what the judge has said must be proved beyond reasonable doubt. This is done away from the courtroom, in secret. if there are 11 jurors and after at least eight hours they cannot all agree, agreed by 10 of the jurors. coronial inquests in limited circumstances. Usually, a jury in a civil case is only four people, but the size of a jury in a civil case in the Supreme Court can be increased to 12 people if a party to the case asks the Court to do so. A jury in a coronial inquest is six people. if there are four jurors and after at least four hours they cannot all agree, agreed by three of the jurors. Once the jury has made its decision, the judge’s final role is to decide what the penalty (in a criminal trial) or remedy (in a civil case) is to be. Generally, a tribunal is a decision-making body that is made up of more than one person. There are no juries in tribunals. The make-up of a tribunal is set out in the Act of Parliament that sets up the particular tribunal. There are a number of different titles used for tribunal members depending on the Act that sets up the tribunal. If the tribunal has a judicial member who is a judge or magistrate, then they are referred to in the same way as they would be in court (see above). If the tribunal is chaired by a lawyer who is not a judicial officer, they may be called ‘President’, and the other members may simply be called ‘Member’. Sheriff’s Office staff: the Sheriff’s Office is responsible for assisting the courts in a range of ways, including delivering documents that are issued by courts, making sure that the courts have enough security and helping with juries. There are always at least two parties in any case that is to be decided by the courts: the party that is bringing the case to court and the party that is responding to the case. is represented either by a police officer or a Police Prosecutor (generally for less serious cases), or by the Public Prosecutor. The party responding to the case where it is a criminal matter is called the ‘defendant’ or ‘accused’. They will often be represented by Legal Aid or by a Public Defender. When a civil case is heard, the party bringing the case is called the ‘plaintiff’. The party responding to the case is usually called the ‘respondent’. When a case is an administrative law matter, the party bringing the case is often called the ‘applicant’, and the party responding is called the ‘respondent’. Parties in court cases are usually represented by someone else. This may be a legal practitioner (a solicitor or a barrister) , a police officer, or a public prosecutor. What process does a court use to deal with a legal dispute? A court can only deal with a legal dispute at the request of one of the people or organisations affected by the dispute. The process used by courts to resolve disputes is slightly different for different kinds of cases – for example, criminal cases and civil cases have slightly different processes. Even within the criminal law, there is a slightly different process for dealing with indictable offences (more serious offences) and summary criminal offences (less serious offences). Courts can only decide the outcome of a case using the evidence that is presented in the hearing. They cannot go out looking for other evidence or calling witnesses. This is because Australia has an ‘adversarial’ legal system. In order to reach the decision at the end of a hearing, the court has to identify what laws are relevant to the situation and then how those laws apply in the particular situation. To do this the court relies heavily on the parties to point out what laws are relevant and how those laws should be applied to the situation. Except in very limited cases – such as cases involving children or cases involving national security – the hearing of cases is public. This means that anyone can walk into the court and stay to listen to the hearing and the decision. This is an important part of our court system because it means that the process can be seen and understood by anyone and so has to be open and fair. An ‘appeal’ is a review by a higher court of a decision made by a lower court in the court hierarchy. An appeal can be made against a conviction, sentence or penalty imposed by the Local Court. The appeal is usually heard in the District Court, generally by way of a rehearing of the evidence. The Supreme Court can also hear appeals from the Local Court, and from the District Court, although permission (‘leave’) may need to be given by the Court first. In NSW, the highest courts of appeal are the Court of Criminal Appeal for criminal matters, and the Court of Appeal for civil matters. Appeals to the High Court of Australia can only be made on matters of law and require permission from the court, called ‘leave to appeal’. In limited circumstances, an application can be made to appeal a decision of a NSW tribunal. The Administrative Decisions Tribunal has an Appeals Panel that deals with appeals against decisions of the Tribunal. Decisions of Tribunals in NSW can only be appealed to the Supreme Court of NSW on a question of law. Person arrested and/or charged. Person arrested and/or charged. Person (‘plaintiff’) presents a document outlining their claim against another party (‘respondent’) to the court. Person required to come to local court for the hearing of whether or not there is enough evidence against them for the case to continue (‘committal hearing’). Respondent is required to present a document responding to the claim to the court. Person (‘the accused’ or ‘defendant’) required to come to local court for the hearing of the case against them (‘summonsed’). If there is enough evidence, then the person is required to come to court for the hearing of the case. Parties may be ordered by the court to participate in a meeting or meetings to try to resolve the dispute (‘mediation’). The jury is selected from the jury pool. The defendant is told what they are accused of doing and asked whether they are ‘guilty’ or ‘not guilty’. The person is told what they are accused of doing and asked whether they are ‘guilty’ or ‘not guilty’. The parties come to court for the hearing. The prosecutor presents to the court all of the evidence and witnesses in support of the case against the defendant. The defendant’s legal representative is allowed to ask each of the witnesses questions to challenge their evidence (‘cross examination’). The prosecutor can then ask more questions of the witness (‘re-examination’). The plaintiff presents to the court all of the evidence and witnesses in support of their claim. The respondent’s legal representative is allowed to ask each of the witnesses questions to challenge their evidence (‘cross examination’). 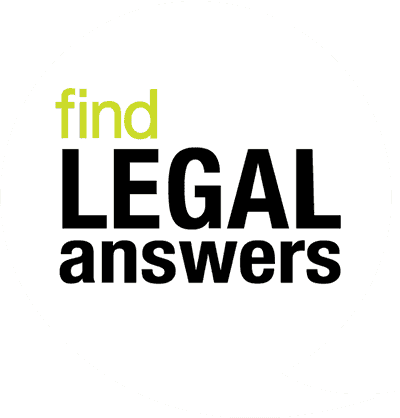 The plaintiff’s representative can then ask more questions of the witness (‘re-examination’). The defendant’s legal representative presents to the court all of the evidence and witnesses in support of the defendant’s version of events. These witnesses can be cross-examined by the prosecutor and re-examined by the defendant’s representative. The respondent’s legal representative then presents to the court all of the evidence and witnesses in support of the respondent’s version of events. These witnesses can be cross-examined by the plaintiff’s representative and re-examined by the respondent’s representative. The judge outlines for the jury what needs to be proved by the prosecution in order for the charges to be proven and also explains the level of proof required to find the defendant guilty: ‘beyond reasonable doubt’. The judge or magistrate decides on whether or not the prosecutor has proved that the defendant is guilty of the offences. The jury decides on whether or not the prosecutor has proved that the defendant is guilty of the offences. The magistrate or judge decides on whether or not the plaintiff has proved their claim against the respondent is a valid legal claim. The judge or magistrate decides on what penalty should be imposed (‘sentence’). The judge decides on what penalty should be imposed (‘sentence’). The magistrate or judge decides on what remedy should be made by the respondent (‘damages’). 12. The number of judges appointed to the High Court is set out in section 5 of the High Court of Australia Act 1979 (Cth), while the retirement age of judges on the High Court is set out in section 72 of the Constitution. 14. See Hot Topics 78: You and your lawyer for more information about legal practitioners and the different roles of barristers and solicitors.